State Assembly signs off on design-build authority for NYC, but will the Senate? The state Assembly has signed off on granting the city design-build authority, but the clock is ticking and it’s unclear if the Republican-controlled Senate will follow suit before the end of the legislative session. The bill, introduced by Bronx Assembly member Michael Benedetto, seeks to allow city agencies to employ design-build, a project delivery system where the owner signs a contract with one entity: the construction and design team. As part of the contract, the team pledges to complete a project on a specific schedule and budget. For this reason, design-build is often praised by public officials as a money and time saver, though it’s drawn criticism from some labor groups who claim it stifles competition. 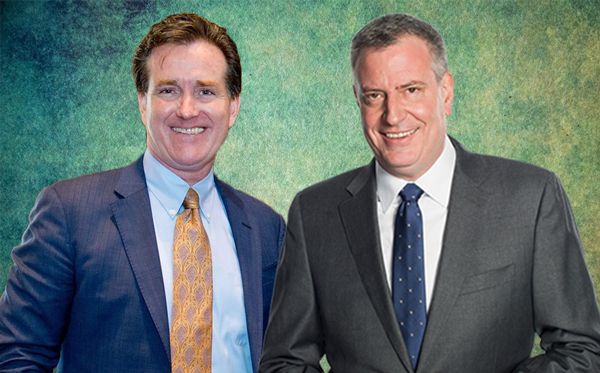 Both Mayor Bill de Blasio and Gov. Andrew Cuomo have been big proponents of design-build, though the governor has only sought to extend the delivery system to state agencies. Cuomo had proposed expanding design-build to all state agencies — leaving out city agencies — as part of New York’s $163 billion budget. In April, the state Legislature only approved allowing certain individual projects to use the method. Crain’s reported in April that design-build could mean cost savings for the $1.7 billion repairs planned for a section of the Brooklyn-Queens Expressway. But Benedetto’s bill — or another introduced by Sen. Martin Golden, which would extend design-build exclusively to the BQE — would need to pass this legislative session, which is slated to end Wednesday — for the streamlined bidding process to be applied to the project.